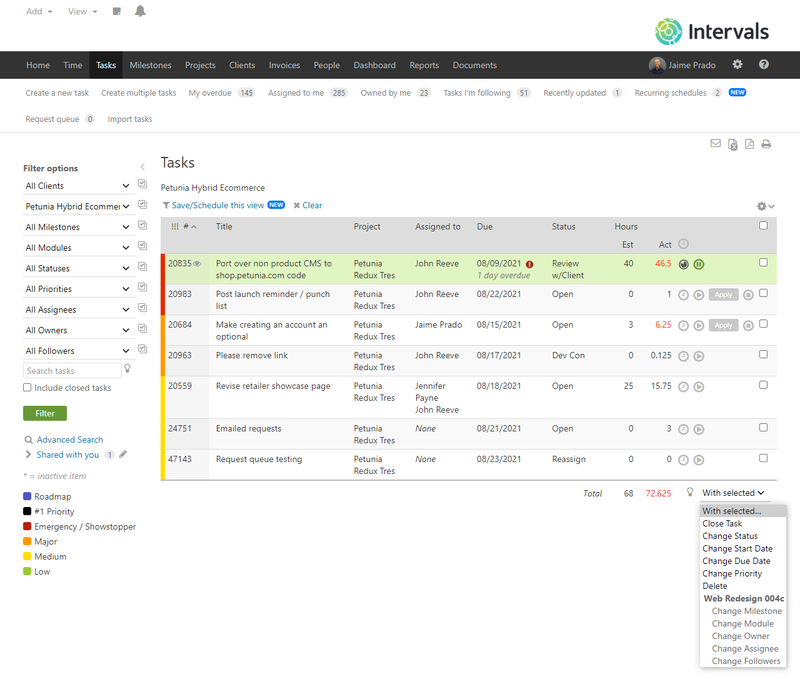 Intervals is a flexible online time tracking and task management system. Some web-based project management services include “online task management” as an afterthought. Intervals, however, marries task and time tracking. Tasks include document uploads, document versioning, notes and comments, due dates, task status, and daily email reminders about what is due. If you need to manage a deliverable or a critical point in the life cycle of your project use milestones. Milestones can be beneficial for time and task management when used to group tasks together and quickly evaluate how close the deliverable is to completion. If the milestone needs to be rescheduled simply drag and drop it and all of the tasks and future milestone can be rescheduled. Your historical day-to-day task workflow can be evaluated and analyzed using several intelligent reports, so you can easily quantify time tracked and efforts spent. You are working hard, and with features like these, it won’t be hard to prove it. Intervals task management features include task assignments, detailed task histories, task notes, and more. Easily filter your task list to focus on work in progress, or, find out what’s due next.